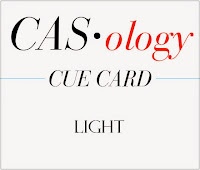 This week's CASology Cue Card is Light. Actually, this one's a two-week challenge. A perfect cue-card for this time of year when our days (at least up here in the northern hemisphere) are so short! But I decided to use a different meaning for light. I created a frame for my Inkadinkado sentiment with a Creatiate feather. 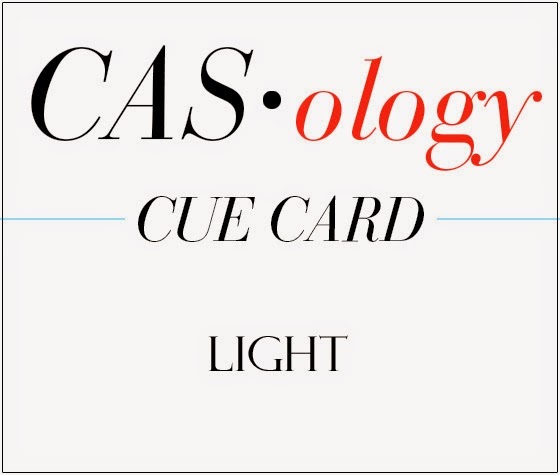 It's very easy to keep one-layer cards CAS. I used only two stamps and two colours and left plenty of white space. 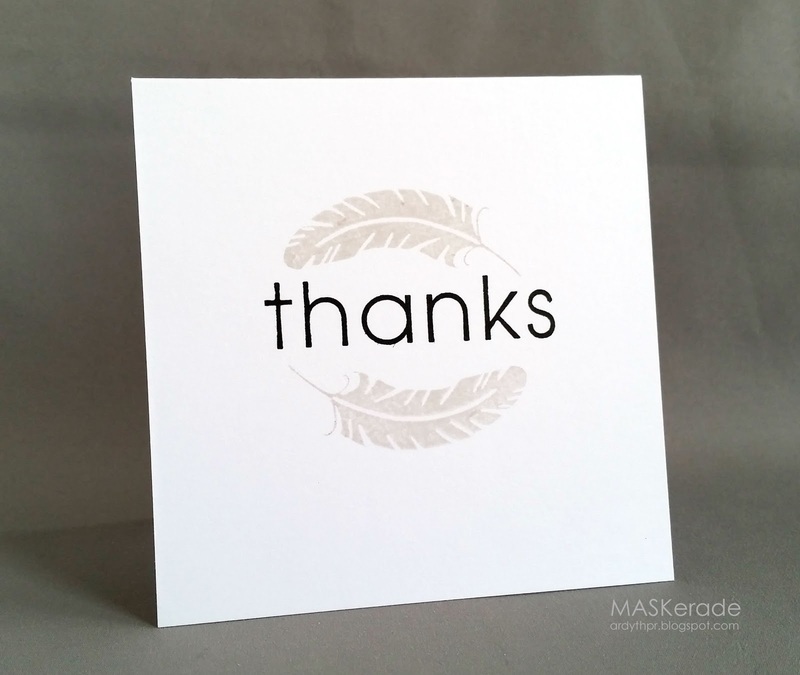 Love the soft look of your feathers framing the THANKS! Beautiful Ardyth! I love your design. Merry Christmas! That off-white stamping onto the stark white background is really lovely. So pretty!! Happy Holidays Ardyth! Love it! Perfect creatively take on the challenge as always Ardyth! Merry Christmas to you and your beautiful family! Clean and simple and gorgeous as usual, Ardyth. Merry Christmas to your and yours! Wow...just so clean and stunning all at the same time. I love your feathers, just so perfect. Wishing you and your family a very Merry Christmas. Love your take on 'light' Ardyth!! Merry Christmas to you! Lovely take on the cue word! Really love the "Light" Feathers, Ardyth! Merry Christmas to you and yours! Exquisite!!! Merry Christmas my Friend!!!!! What a great take on the cue! Love this Ardyth...Merry Christmas to you and family! Brilliant take on the challenge. I did not think of this definition at all. Love your card, and how the entire feel of the card really echos the lightness of the feathers. Happy Holidays, teammie! Awesome! I had feathers on my mind for this word too but glad I left it to you because this is gorgeous! :) Hope you had a wonderful Christmas! Not only did you use a light feather, but I love the light gray you chose. Perfect!